In their book No B.S. Trust-Based Marketing, authors Dan S. Kennedy and Matt Zagula outline strategies to build and maintain trust in your business, and in turn attract both customers and profits. In this edited excerpt, Kennedy discusses how authoring a book can establish authority and trust. For any business, there is no more essential a tool of authority than authorship. One of the very first things I've done every time I've entered a market is write and publish a book on a subject of specific interest to that market. These books have never been for the bookstore shelf -- only for direct distribution to my target audience. I have also written and published newsletters, special reports, white papers and online articles. All beneficial, but nothing trumps a book. Even if you are the proprietor of a local hardware store, landscape company or home remodeling company, and want differentiation and competitive advantage over big box stores; consumer preference for and trust in you for advice and product recommendations; and price elasticity, you need to write and publish your own book as well as newsletters, special reports, how-to guides and more. Anyone who seeks trusted authority and advisor status should publish, else they perish. Such tools give you opportunities to not only advertise differently than everyone else, but to advertise something that is different from what all your competitors are advertising. The same tools can also accelerate trust in prospects. That's why I authored and had published several books on money, finance and investment, and why, when opening a second financial advisory practice with Rocky Bleier, the four-time Super Bowl champion from the Pittsburgh Steelers, I put together a book specifically for this market. Rocky wasn't a financial advisor. He was and is a motivational speaker who shares his life story and success principles with corporate and association audiences nationwide. My creative team took his stories of inspiration, converted then into financial-related messages and created a small book, "Don't Fumble Your Retirement." They transcribed Rocky's main speech and added a little content, photographs and captions. This served as a symbol of authority, and a credible bridge between Rocky's celebrity and the serious matter of safeguarding someone's life savings and assisting them to achieve a financially secure retirement. Rocky and his son are actively involved in the practice, and Rocky meets clients at workshops and the office, but even if he served only as a traditional celebrity-endorser, he would be very valuable in the Pittsburgh market. Always combine "trust triggers" in marketing media and tools. In this case, I didn't settle for just celebrity. He married celebrity with credibility and authority by creating a book with Rocky as its author. Related: Why Should Your Customers Trust You? It's important to grasp that I fast-tracked this process, and that we are not asking you to suddenly become Shakespeare, nor write the great American novel. 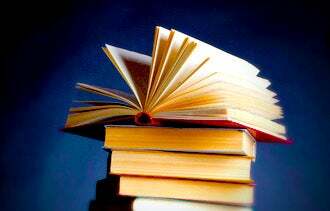 Writing a book sounds daunting to many people, but these kinds of books are relatively formulaic and narrow-purposed. Don't be concerned with critical acclaim, mass public acceptance, bestseller lists or even, frankly, writing style that would satisfy the critical editors of a major publishing house. These are sales letters put into book format. Your book should be aimed at a target audience and their interests; it should be written to create trust for you as the expert best capable of meeting their needs aligned to those interests. Often this will be very narrow; not long ago, for example, I helped the owner of a Lasik eye surgery clinic develop a book about "Eagle-Eye Vision for Golfers," which he then distributed to golf pro shops throughout his area. The book was fewer than 100 pages and is a thinly-disguised sales letter, yet it presented more than enough scientific and medical information and educated opinion to establish himself as an authority on this subject, and as someone who thoroughly understands the demands of the long and short game in golf. He even got a golfer competing on the PGA Senior Tour to write the book's foreword. In many cases, these books are written in conversational style, much like you would tell the same information to a prospect, so they are often sourced from your speeches, workshops and sales presentations, or from having someone who understands the objectives of the book interview you at length about your knowledge. You are an expert. You know your business and you know how to explain, present and sell your product or service. You likely have a bank of past and present advertising and marketing materials. All the raw material for a book built to be a strong, trust-based marketing tool already exists. Think of it as repurposing, assembling and organizing, not "writing." This article is an excerpt from No B.S. Trust-Based Marketing available from Entrepreneur Press.